Designed to be the foundation you built your run on, the Brooks Dyad 10 Running Shoe is more stable and more supportive than whatever you've been running in before. That's because the BioMoGo midsole is just a little bit stiffer than standard, which works with the Dual Arch Pods underfoot to give you improved stability and better control than you'd expect from a shoe this soft. 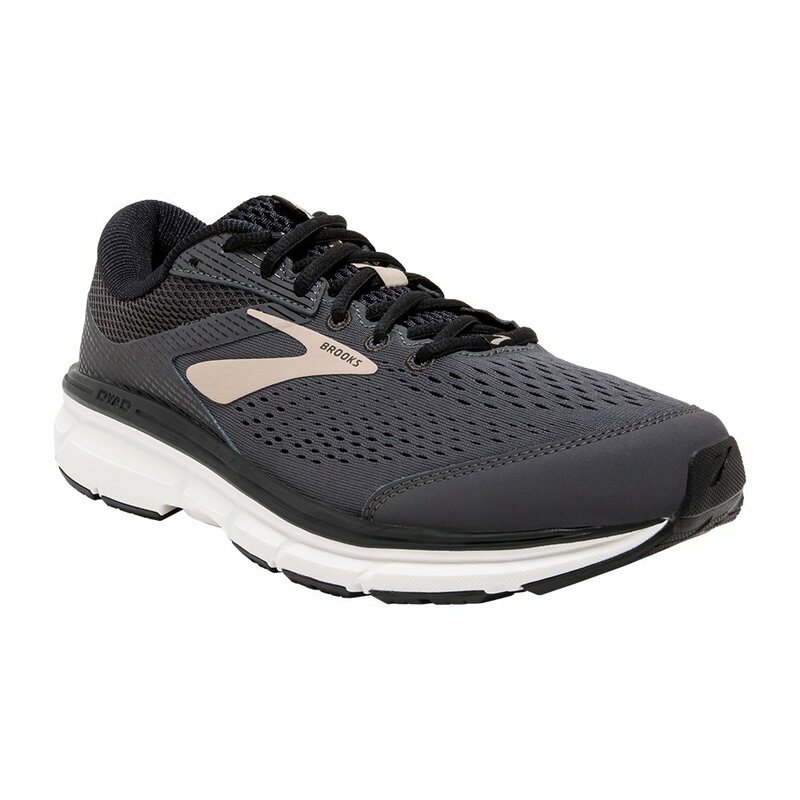 The Brooks DNA under your heel is designed to help smooth out the harshest footstrikes, and thanks to the Engineered Air Mesh construction these supportive shoes still manage to be light and breathable.